All who are interested in our MSc programmes or in PhD study in the Division of Psychiatry are warmly invited to attend our Open Evening on Wednesday 20th March. There will be brief talks from key members of staff and a chance to chat over drinks to staff and current and former students. Programmes covered include the MSc Clinical Mental Health Sciences, MSc Mental Health Sciences Research and MSc Dementia: Causes, Treatment and Research (Mental Health). Please register your interest in attending with Chris Coup – c.coup@ucl.ac.uk. Sonia Johnson was honoured to be invited by mental health research charity MQ to give the opening keynote at their 2019 Scientific Meeting in London. She proposed a new set of research priorities for seeking to improve the lives and outcomes of people with severe mental health problems such as psychosis and bipolar. Here to allow access for those interested are the slides from this presentation. How can we improve the lives and outcomes of people with severe mental health problems? Noclor Research Support Service announces scholarships of between 20% and 50% total part time fees to support clinical staff in North London Trusts to undertake the UCL MSc in Mental Health Sciences Research commencing September 2018. Awards can be used in combination with other scholarships or study leave funding. The course provides a practical and stimulating training in research skills, appropriate for mental health professionals with a strong interest in becoming researchers/academic clinicians. Scholarships are especially intended for clinicians, but applications from staff without clinical qualifications who have worked in the Trusts for at least two years will also be considered. Trainees who are qualified clinicians, such as junior psychiatrists on rotation, will also be considered. Service users undertaking paid roles such as peer support workers are also encouraged to apply. 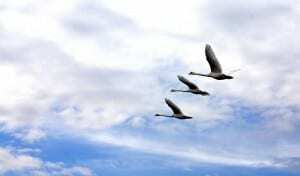 (b) what topic in mental health you would like to research in future, why, and how you would approach it. Awards will be made on this basis to both new and continuing students. Camden and Islington NHS Foundation Trust announces scholarships of between 20% and 50% total part time fees to support clinical staff in North London Trusts to undertake the UCL MSc in Mental Health Sciences Research based in the UCL Division of Psychiatry, commencing at the end of September 2018. Awards can be used in combination with other scholarships or study leave funding. The course provides a practical and stimulating training in research skills, appropriate for mental health professionals with a strong interest in becoming researchers/academic clinicians. 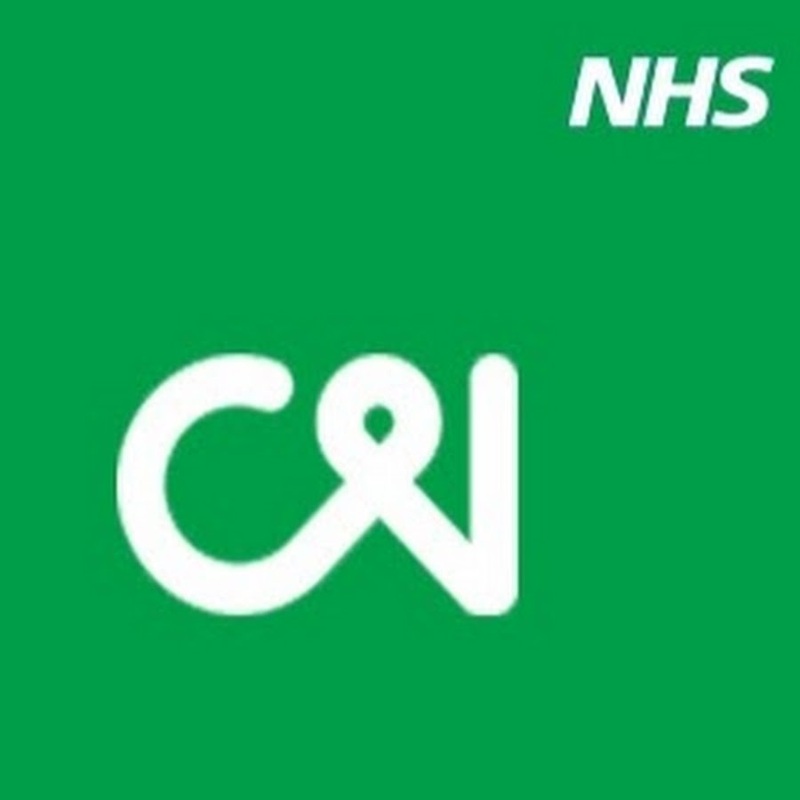 These scholarships are open only to staff currently working within Camden and Islington NHS Foundation Trust. Scholarships are especially intended for clinicians, but applications from staff without clinical qualifications who have worked in the Trusts for at least two years will also be considered. Trainees who are qualified clinicians, such as junior psychiatrists on rotation, will also be considered. Service users undertaking paid roles such as peer support workers are also encouraged to apply. We are very pleased to announce that we can offer a small number of Division of Psychiatry Scholarships to contribute towards fees for the MSc in Mental Health Sciences Research and the MSc in Clinical Mental Health Sciences Research, beginning in 2018-19. (c) what topic in mental health you would like to research in future, why, and how you would approach it. Awards will be made on the basis of these statements and your application forms for the MSc. For those entering the second year of the course, achievements so far on the MSc can also be taken into account. Applications need to be received by the end of 31 July 2018 for new applicants to the MSc Clinical Mental Health Sciences, and by 31 August 2018 by applicants to the MSc in Mental Health Sciences Research and by continuing students. This blog post is co-written by the QHRN committee and also appears on the QHRN website. 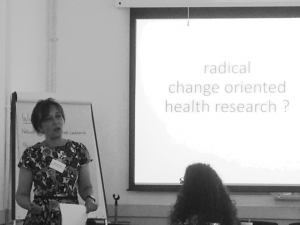 On June 25th, the UCL Qualitative Health Research Network hosted a workshop on qualitative approaches to studying change in health, illness and care, supported by the Wellcome Trust. Our workshop—Responding to Change: Perspectives from Qualitative Health Research—also aimed to “take the pulse” of the qualitative health research community as it engages in the theme of change. Reflection on this theme comes as we look towards our 4th biennial symposium—Crafting the Future of Qualitative Health Research in a Changing World—planned for 21st-22nd March, 2019. Change is happening constantly—it is nothing new. But it has what seems an intrinsic and inexhaustible capacity to present and assert itself as such. We are witnessing major change in healthcare environments across the globe and across multiple dimensions. Rapid technological advances, personalised medicine, and on-going demands for more patient involvement, to name just several fundamental shifts underway now. These advances are happening against a backdrop of major geopolitical and demographic change, with ageing communities, global austerity and the biggest wave of mass migration since the second world war. These bring significant social consequences for patients, practitioners, policymakers and society at large and they are seriously challenging established forms of care, the allocation of resources and the inscription of new roles, responsibilities and relationships. At a different scale, change is a fundamental feature of care—we aim to make people better or prevent them becoming ill—and we design ways of intervening in people’s lives in complex ways. These changes also require nuanced analysis. As a network—and as independent researchers engaged in qualitative work—we have become increasingly interested in the contributions researchers engaged with qualitative approaches can make to the study of change and how we can help healthcare communities to anticipate and navigate the many and complex social consequences entangled with it—as commentators, theorists and as agents of change. And we are also interested in the tensions it produces for researchers—as we too have to navigate its many flows. In short, our goal was to reflect on these questions: How can we study change qualitatively? How does change, by virtue of its fleeting nature and unintended effects, complicate normative approaches in qualitative health research? How can we respond to change in meaningful and timely ways? Our call for papers drew a healthy number of varied and fantastically thoughtful submissions from around the globe. From these, we selected 24 participants and asked them to submit brief papers for circulation before the workshop. This greased the wheels for discussion and got participants acquainted with each other’s work. Researchers came from a variety of academic homes (including anthropology, sociology, science and technology studies, psychology, and medicine), countries (including the UK, Canada, Australia, Spain and Hong Kong), and experience (from PhD students to Professors, and people with direct experience of illness and care). Catherine Pope, Professor of Medical Sociology at the University of Southampton, started off the day with a rousing keynote lecture, setting the tone as one of deep reflection and progressive action. Reflecting on what will soon be 30-years of work that has done much to place qualitative approaches on a more solid footing in the academy of health and social care sciences, Cathy provoked us to think about what a community of researchers engaged in “radical change oriented health research” might look like. What followed certainly rose to her provocation. In a packed and experimental day of discussion, each participant summarised their paper in a 4-minute speech, without PowerPoint and with an alarm to call time. Intervention … alarm … intervention … alarm—like a four-minute pulse sending forward the conversation. What might have been sacrificed in terms of longer more detailed accounts was gained in the generative effect of keeping things open and at a point of imminence—itself a key feature of change. We ordered papers into three sessions—Tensions and opportunities in evaluating and creating change; Methodological reflections on studying and responding to change; Theorising change and its processes—after which we drew breath and engaged in longer group discussions. Tensions and opportunities in evaluating and creating change­—The papers in our first session discussed the features and complexities of studying change when the boundaries between researcher and researched are blurred. Offering examples from approaches broadly characterised as participatory, engaged, and co-produced, these papers suggested productive possibilities and tensions in researcher standpoint and positionality—how researchers are located in the research field. The opportunities discussed included the possibility of integrated accounts of change between researchers and community; while tensions and challenges included the will to balance impartiality in research with engaged practice when researchers of change are also agents of change. Collectively, these papers called into question what we mean by the categories of expertise, experience and engagement and their relationships to how communities imagine and try to enact alternative futures for health and care. Theorising change and its processes—The papers in our final session broadly cohered around concepts and mechanisms of change. They offered theoretical perspectives on studying change, its processes and the critical need to account for social context. Papers suggested ways to theoretically integrate different levels of change (e.g., micro, meso, macro), consider how change occurs across multiple temporalities (kinds and rates of change), and reflect on its broader dynamics and relationships to continuity. These papers therefore drew attention to structural conditions and contexts—for example, funding, policy, and governance—which bear upon how we can think about and study change. As we look forward to our 4th symposium, we report that the pulse of qualitative health research and its investments in studying change is strong, supporting a body of researchers adapted and ready for radical change oriented health research. This approach is extremely capable of producing the rich and nuanced accounts that are much needed to help patients, health and social care practitioners, policymakers, and society at large, anticipate and navigate the social consequences of change as it unfolds continuously through multiple arenas. A big thank you to all who participated. Read more about the workshop in our detailed report … coming soon! The UCL Qualitative Health Research Network is a cross-faculty collaboration between UCL Department of Applied Health Research, UCL Division of Psychiatry Qualitative Researchers Working Group supported by the Marie Curie Palliative Care Research Department, and UCL Research Department of Behavioural Science and Health, and it is open to anyone interested in qualitative health research in the UK and abroad. We hold a Wellcome Trust award, which supported the workshop in addition to our quarterly seminars and forthcoming international two-day symposium planned for 21st-22nd March, 2019. Check here for more details. On behalf of the UCL Qualitative Health Research Network, we are delighted to announce that the Wellcome Trust is funding our next 18-month programme of seminars and our 4th biennial symposium. This programme, entitled “Crafting qualitative health research for the future,” is on the broad theme of “change” and will interrogate the conceptual and methodological problems it poses to qualitative approaches in health research. We are especially interested in exploring the roles that qualitative researchers can take in supporting healthcare communities to anticipate and negotiate the social consequences of changing populations, global austerity, rapid technological advances, personalised medicine, and on-going demands for more patient involvement as well as the related tensions between in-depth qualitative work and timely dissemination of findings. We look forward to engaging in this exciting programme of work. For updates please see our Qualitative Researchers Working Group page and visit QHRN. We started recruiting people to take part in the study in April 2017 and hit our target of recruiting forty people in August 2017. The 30 participants who were assigned to receive the programme of support have begun to meet with their Community Navigators for 1:1 sessions and at the optional group meet-ups. We’ve begun running the meet-up groups. The idea behind the meet-ups is to provide opportunities for our participants to meet each other, discuss the programme’s aims and their own progress, and share information about local groups, activities and services that they have a positive experience of. 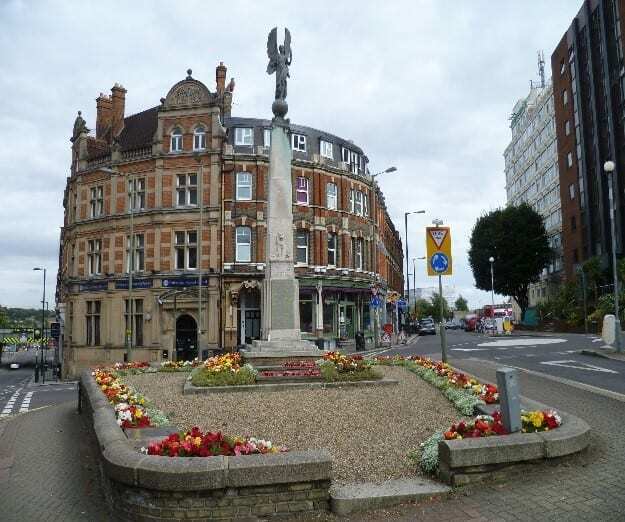 The first group for our Camden & Islington (C&I) participants took place at the beginning of August and the one for our Barnet participants took place at mid-September. Members of the study team attended the European Network of Mental Health Service Evaluation (ENMESH Conference) in the Netherlands. At the conference we presented our work on coproducing a Theory of Change for the project and it won a Best Poster Award! Follow-up Interviews and Qualitative data collection have begun and will continue until early next year. If you want to know more, then keep reading below! Both of our meet-ups followed a flexible agenda, which was co-produced by the Community Navigators and the study’s working group that is made up of researchers, experts by experience and clinicians. The meet-ups started with introductions and an icebreaker activity, in which people looked at photographs of places around their borough and tried to guess where they were. This activity was particularly successful in initiating discussion and giving people a chance to get to know one another. The icebreaker was followed by a short break for refreshments and a chance to mingle. What was next? The Groups 4 Health quiz! Clients and Community Navigators completed a Groups 4 Health exercise that involves ranking factors according to how important they are for our health. Once people ranked the factors, the Community Navigators showed them a graph of the general public’s rankings when asked the same question, and then showed participants another graph, which shows the real importance of each of these factors, based on the latest research. Contrary to what most people assume, social support and social integration are actually the most important factors for health in this list. People were really interested to hear each other’s ratings and a vigorous discussion followed about which factors are important and why. Each of the meet-ups came to an end after about two hours. Attendees from both groups provided very positive feedback, and found the groups helpful and enjoyable. A second group has been planned in C&I for November 2017, and in Barnet for January 2018. We were very pleased that, following the group meetings, some of the participants have made connections and arranged to meet up together, or arranged a future Community Navigator session together with another participant. 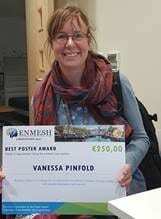 A poster designed by Vanessa Pinfold (Study co-applicant, McPin Foundation) about the theory of change behind the Community Navigator programme won the best poster award at the ENMESH conference in the Netherlands. The topic of the conference was “Conceptualising, measuring and influencing context in mental health care: from the individual to the society”, and took place on October 5, 6 & 7, 2017. We won the poster prize for Theme 3: Approaches – using the patient’s own context, which was 250 euros. Our poster showed our current version theory of change (Version 18! ), and celebrated that we had involved researchers, service users, and clinicians in the process. You can share your thoughts with us on Twitter or get in touch with Dora by emailing theodora.stefanidou.15@ucl.ac.uk. You can also find out more about the study on our main webpage, https://www.ucl.ac.uk/psychiatry/research/epidemiology/community-navigator-study/. 2017 has already been a busy year for mental health policy announcements. On 9th January the Prime Minister announced a package of measures to transform mental health support, highlighting the “shocking reality” of 13 deaths by suicide a day in England. 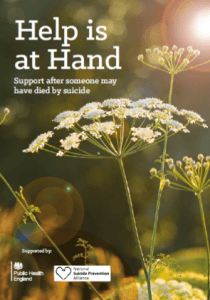 On the same day the Department of Health published a progress update on the suicide prevention strategy, setting out an intention to improve responses to people bereaved by suicide. This had been one of the two overarching objectives of the revised 2012 suicide prevention strategy, but three years on the progress report acknowledged that “delivery in this area has not progressed enough to ensure that there are good quality and consistent suicide bereavement services in every area across the country”. These pronouncements on service provision after suicide bereavement have direct relevance to NHS mental health trusts. The recent 20 year review of the National Confidential Inquiry into Suicide and Homicide by People with Mental Illness reported that 18,172 psychiatric patients in the UK had died by suicide over the period 2004 to 2014, representing 28% of general population suicides. 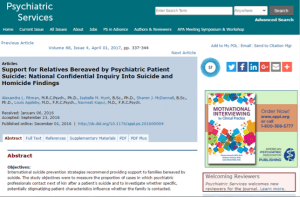 The MRC-funded systematic review we conducted in the UCL Division of Psychiatry has described the effects of suicide bereavement on mental health and suicide risk, and there is a growing awareness that each suicide has an impact on relatives, partners, friends, and mental health professionals. Guidelines set down in 2009 by the National Patient Safety Agency indicate that after the suicide of a psychiatric patient, mental health teams should offer families and carers “prompt and open information” and “appropriate and effective support” as well as involving them in a routine post-suicide review. Until now it has not been clear how often this happens in practice. This month our analysis of National Confidential Inquiry data, in collaboration with the NCISH team at the University of Manchester, was published in the US journal Psychiatric Services. This found that relatives of psychiatric patients who died by suicide from 2003 to 2012 were not contacted after the death by members of the mental health team in 33% of cases. In our analysis we had hypothesised that specific, potentially stigmatizing, patient characteristics would influence whether the family was contacted after a psychiatric patient’s suicide. We found that a patient’s forensic history, unemployment, and primary diagnosis of alcohol or drug dependence or misuse were independently associated with a reduced likelihood of staff contacting the relatives in the event of their suicide. We noted that these were markers for suicide risk in themselves. However, minority ethnic group, and recent alcohol or drug misuse were not associated with staff contacting relatives. Violent method of suicide was associated with an increased likelihood of being contacted. We felt these findings suggested that relatives experience inequities in access to support after a potentially traumatic bereavement. This was a concern given the recognised association of suicide bereavement with suicide attempt, and the possibility that patients’ relatives share risk factors for suicide. Mental health trusts should use these findings to revise their policies on serious and untoward incidents; incorporating protocols for the provision of support to relatives and to trust employees after a patient’s suicide. Considering the impact on fellow patients, whether on wards or in social networks, is also important. Resources such as Help is at Hand, published by Public Health England in 2015, list organisations providing support and information and should be disseminated where indicated. Recent commissioning guidance published by Public Health England makes recommendations, informed by our research, on delivering support after a suicide as part of a wider suicide prevention strategy. I am grateful to Isabelle Hunt, Sharon McDonnell, Louis Appleby and Nav Kapur at NCISH for agreeing to this collaboration. We presented the findings at the RCPsych General Adult Psychiatry and Child and Adolescent Psychiatry joint faculties’ annual conference in Birmingham in October 2016, which was an opportunity to disseminate the findings to clinicians. Onwards dissemination to mental health staff and clinical leaders has the potential to improve the support offered to people bereaved by suicide, in keeping with national suicide prevention strategy. Click this link to access the article. Department of Health. (2012) Preventing suicide in England: A cross-government outcomes strategy to save lives. 17680. National Patient Safety Agency. (2009) Preventing suicide: a toolkit for mental health services. National Patient Safety Agency. Contract No. : 1133. Public Health England, National Suicide Prevention Alliance. (2015) Help is at Hand: Support after someone may have died by suicide. London, HMSO. This was our seventh working group meeting and the first since last summer. Our research team, experts by lived experience, and clinicians from Camden, Islington and Barnet all came together to review our progress so far. Since the working group meetings in the development phase of the study, a team of three Community Navigators has been recruited, completed training and started preliminary testing of the programme of support. The Community Navigators wrote a blog on their experiences of training with us. We started this meeting looking at feedback from our Community Navigators and some of the participants that have taken part so far. In total, eight participants have tried out support from a Community Navigator and have had between one and seven sessions. Feedback was very positive. Participants particularly enjoyed their meetings with the Community Navigators and receiving personalised guidance about new things to try or places to go. Although it is quite early to tell, people said they were feeling a little better, were getting out more and some had increased confidence. However, they did have concerns about maintaining this progress after their Community Navigators’ support ends and some found it challenging trying new things. Our Community Navigators had lots to say about the study so far. They had a clear understanding of their role and what they are trying to achieve, and have really enjoyed getting to know participants. As with all roles, they did identify challenges, particularly with making as much progress with people as they’d hoped. We discussed some strategies to overcome these challenges, one of which was to have some top-up training on using a solution-focused approach. Together with the guidance received in supervision, which the Community Navigators really valued, this should help the Community Navigators continue to develop the support they are able to offer. The Community Navigators also thought the mapping and goal setting tools developed by the working group (pictured above) were helpful to use in their meetings. So, now that we’ve had some feedback, what are the next steps? One of the things that came out of the interviews was that some participants didn’t self-identify with feeling lonely. This could be an issue as part of what we’re trying to achieve in this study is to help people feel less lonely. However, the questionnaires that people completed at the start of the study indicated that all participants were experiencing some level of loneliness, even if they didn’t describe themselves using this label. As the working group felt that the people who would benefit most from the support of a Community Navigator would be those with some feelings of loneliness, we’ve decided to ask people to complete a brief loneliness scale before we offer them the chance to take part in the study. We also realised that we need to try and describe this programme of support as clearly as possible to potential participants, so that they are on-board with its aims. 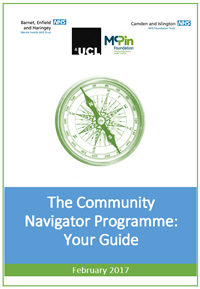 We’ve developed a participant guide (pictured above) which we hope will help people to understand what the Community Navigator programme is all about. Let us know your thoughts on which you would choose! 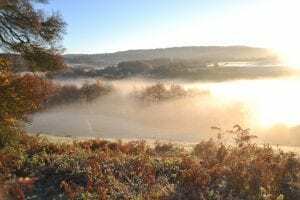 After lots of debate weighing up the pros and cons of the different options, we all thought that number 3 would work best, but that we should also build in the best parts of the other options. We decided to organise at least two group meetings – one during the first half of participants’ support from their Community Navigator, and one towards the end of the programme. A third session may be added, depending on whether people want it. Attendance is optional but Community Navigators will encourage and support everyone to join in. The group will provide opportunities for people to meet, chat about the programme and their progress, and share any helpful resources and experiences. 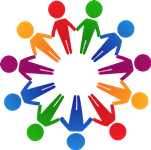 The group will follow the principles of our programme with a socially-focused person-centred approach; each meeting will have a loose agenda tailored to the needs of those taking part. The working group also pointed out the importance of having cake at these meetings, so refreshments will be provided! We’re all looking forward to our next working group meeting, where we’re going to use the feedback gathered so far to update the programme’s Theory of Change. 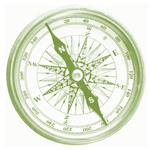 Sadly one of our Community Navigators is moving on to a new full-time job at the end of March, but we are currently recruiting a new Navigator to join our team. You can share your thoughts with us on Twitter or get in touch with Jess by emailing jessica.bone.15@ucl.ac.uk. 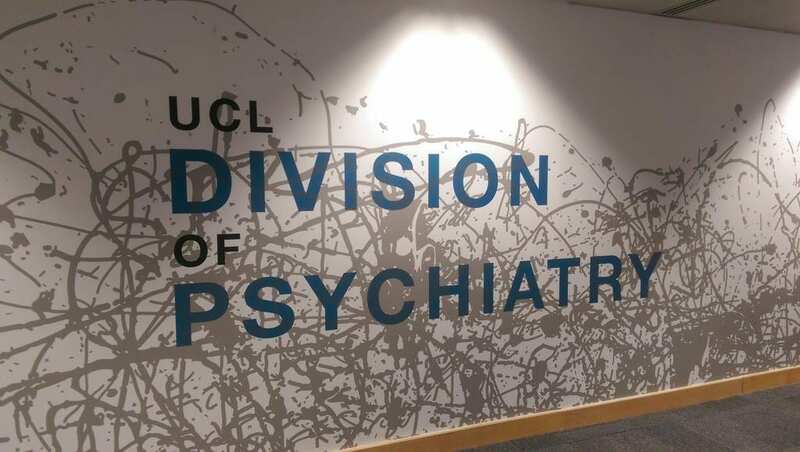 You can also find out more about the study on our main webpage, https://www.ucl.ac.uk/psychiatry/research/epidemiology/community-navigator-study/.